This novel was in the 3rd-5th grade division in The Oregon Battle of the Books. My 5th grader and I enjoyed reading it together. Although Mitsi Kashino and her family are swept up in the wave of anti-Japanese sentiment following the attack on Pearl Harbor, Mitsi never expects to lose her home — or her beloved dog, Dash. But, as World War II rages and people of Japanese descent are forced into incarceration camps, Mitsi is separated from Dash, her classmates, and life as she knows it. The camp is a crowded and unfamiliar place, whose dusty floors, seemingly endless lines, and barbed wire fences begin to unravel the strong Kashino family ties. With the help of a friendly neighbor back home, Mitsi remains connected to Dash in spite of the hard times, holding on to the hope that the war will end soon and life will return to normal. Though they’ve lost their home, will the Kashino family also lose their sense of family? And will Mitsi and Dash ever be reunited? "Mitsi Kashino packed her sketch pad, her binder, and her worry in her book bag. Dash sniffed the straps before flattening himself on top of it, muzzle resting on his front paws. He watched Mitsi with worried brown eyes. She ruffled the scruffy almond-colored fur on his head." Kirby Larson is a masterful writer, ast he first paragraph above shows. We immediately know that both the main character and the dog are worried, and we see that dog and girl have a wonderful bond. 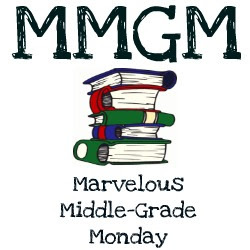 The paragraph which follows tells us that something has gone terribly wrong in Mitsi's world, but that she is hoping that things have righted themselves at school because time has passed. Not so. Things are even worse. The indignities suffered by Japanese-Americans after the bombing of Pearl Harbor are a shameful chapter in American history. The fact that these events are seen through the eyes of a ten-year-old girl ramps up the injustice of it all. We feel for Mitsi as her friends turn against her, as the mean girl at school taunts her, and as she is forced to leave her precious dog behind as her family is sent to an internment camp. Larson has done some great research, and we get all the sights, sounds, (horrible) smells, tastes, and dust from camp life. Throughout, Mitsi shows tremendous resilience, and we get to enjoy the "correspondence" she and Dash have. This is the sort of novel which leads to great conversations about what can happen if a society falls prey to fear of "the other." And who can fail to love a story about a girl and her dog? Not this Mafioso. P.s. Has there ever been a cuter cover? Just look at those puppy dog eyes! Kirby Larson is the acclaimed author of the 2007 Newbery Honor Book, Hattie Big Sky, a young adult historical novel she wrote inspired by her great-grandmother, Hattie Inez Brooks Wright, who homesteaded by herself in eastern Montana as a young woman. That book, and encouragement from her mentor, Karen Cushman, gave Kirby the confidence to embrace her passion for historical fiction; she has since written the Dogs of World War II series (Scholastic), which include Duke, Dash (recipient of the Scott O’Dell Historical Fiction Prize), Liberty and Code Word Courage. Kirby melded her passion for history and mystery in Audacity Jones to the Rescue, and Audacity Jones Steals the Show (nominated for a 2018 Edgar Award). Kirby lives in Kenmore, Washington with her husband, Neil. When she’s not reading or writing, Kirby can be found beachcombing or bird watching with Winston the Wonder Dog. I've been a fan of Kirby Larson since I read the arc of Hattie Big Sky. Glad to hear she's still going strong with historical fiction. I'm so with you in recognizing the importance of books like Dash! Thank you so much for featuring it, and bringing it to my attention. I'll be on the lookout for it! Yes, that cover is a real draw. What adds to the appeal is the story line—such a terrible mark on our history. I can't wait to read this one. Thanks for featuring it this week. 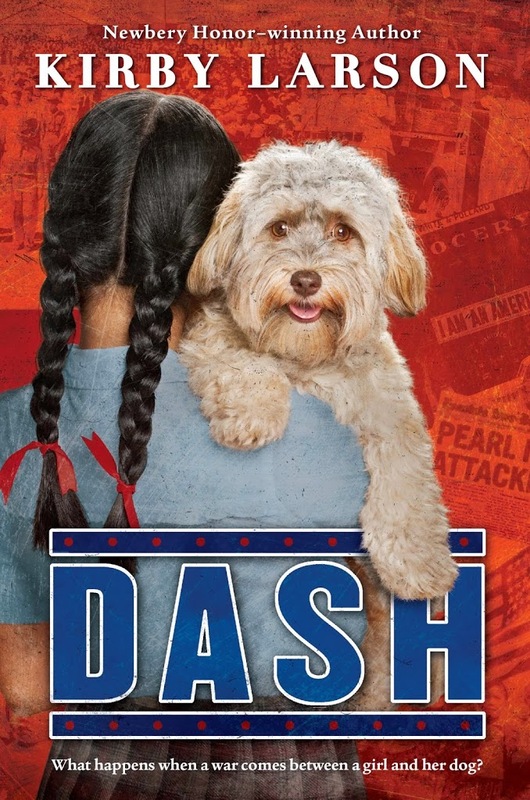 I have been meaning to read Dash and Duke. I love the Japanese internment camp theme as it is so important for kids to know the history. I am a big fan of Kirby Larson's Hattie Big Sky and Hattie Ever After! Need to mark this one! Thank you for the excellent review. This is a terrific book. And how can you go wrong with a girl and her dog and the writing of Kirby Larson? Thanks for the reminder of this wonderful book. Yes, that was such a terrible time in our history. Sounds like a fantastic read about this time period too. Kirby Larson is one of my favorite kid authors. I was fortunate enough to meet her at a conference and she's as delightful in person as I knew she'd be from reading her book. Love that dog on the cover.